Inspirations Florist has been delivering beautiful flowers and first class customer service to Huddersfield customers since 2002. 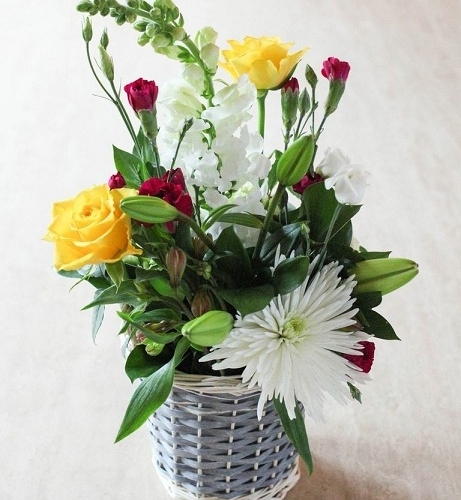 We specialise in the art of flower arrangement. Our products are reasonably priced and include a wide range of flower arrangements like: flower bouquets (standard, premium and luxury), flower baskets (standard and deluxe), flower pots, seasonal plants and designer arrangements.